February 19, 1958. "Mrs. J.V. 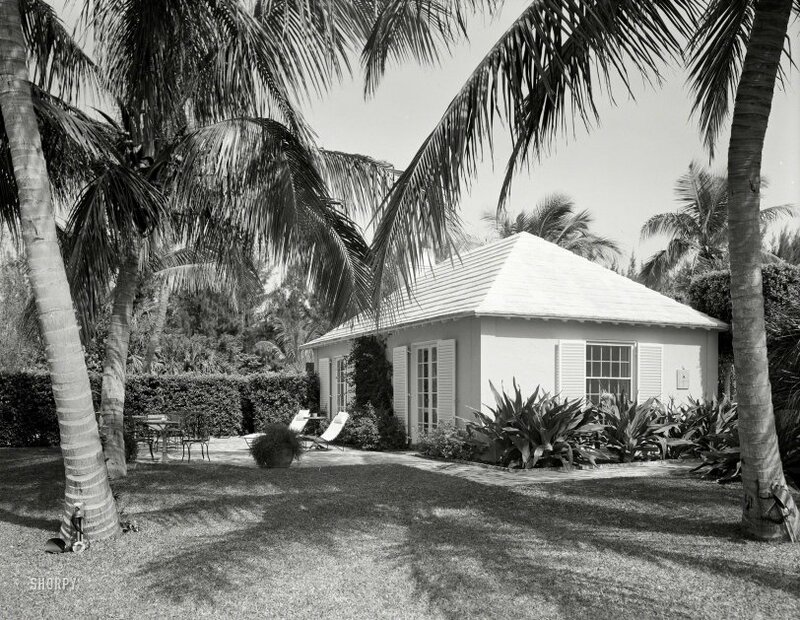 Reed residence in Hobe Sound, Florida. Guest house. William Kemp Kaler, architect; Innocenti & Webel, landscape architect." 4x5 inch acetate negative by Gottscho-Schleisner. View full size. Submitted by JerryM on Sun, 03/24/2019 - 7:06pm. Appears to be the structure at the upper left. Submitted by Delta on Sun, 03/24/2019 - 5:57pm. someone needs to learn to steer the lawnmower. Submitted by davidk on Sun, 03/24/2019 - 1:28pm. I’d gladly stay there. Invite me, please.